Sometimes having a tooth removed is actually the best treatment option for oral health. It might seem hard to believe but there are instances in which our Orange City, FL dentist, Dr. Andrew Yoon, may recommend getting a tooth removed. While it’s true that nothing is as strong or resilient as real teeth, there are certain scenarios in which an extraction is actually the better choice. Find out more about tooth extractions and when they might be the best course of action. Impacted wisdom teeth can cause a slew of issues for your oral health. When a wisdom tooth is impacted it means that the molar only partially erupts through the gums. Having this open space in the gums can introduce bacteria, food and plaque to this area and cause decay or an infection. 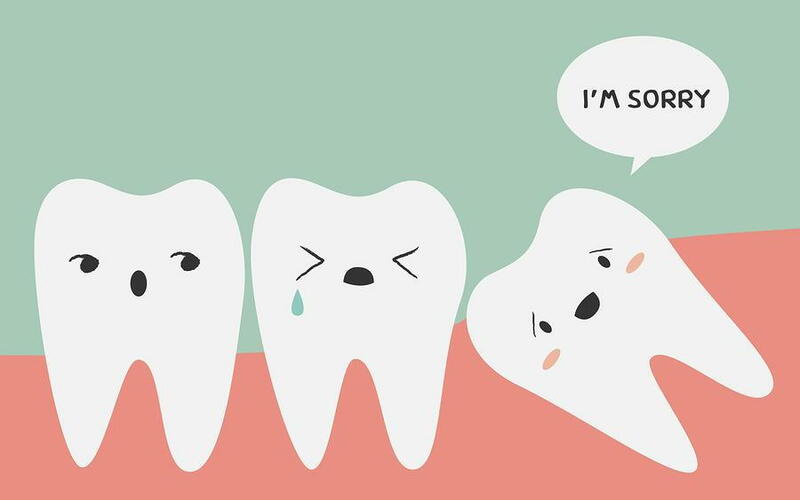 Wisdom teeth can also grow in crooked and affect the health of surrounding teeth. When this happens our Orange City general dentist will recommend having your wisdom teeth removed. Is one of your teeth severely damaged? If you don’t come in for routine cleanings then you may not even know that something is wrong with a tooth until it is too late. Whether a tooth is suffering from decay or an infection, if the problem isn’t treated right away it can continue to weaken the structure of the tooth. A tooth that can no longer stand on its own and won’t receive the support it needs through a dental filling or crown will most likely need to be removed and replaced with a dental bridge or implant. Are you suffering from severe crowding and looking to get braces? In some cases where a patient has crowded teeth and wants to get braces, an orthodontist may advise them to have one or two teeth removed prior to getting braces. By removing a tooth before orthodontic treatment, we can often help make wearing braces more effectively. Do you have questions about a tooth extraction? Do you need a dental professional in Orange City, FL who can evaluate your wisdom teeth and determine if they need to be removed? Then it’s time you scheduled a visit with CapeVista Dental today.